The world defines freedom as a life without any restraint — getting to live on our own terms. But the Bible says the only way to find true freedom is through Jesus: “If the Son sets you free, then you will be really free” (John 8:36). When we realize how much God loves we, we can find true freedom. It’s through this act that we begin to see that only Christ’s love—a love that is forgiving, compassionate, and unconditional—can solve our problems. Finding freedom comes when we stop trying to control everything and start having faith in God alone. It comes by leaning into God and saying “You know best. I trust you.” It comes through humility and recognizing that his plans are always better than ours. 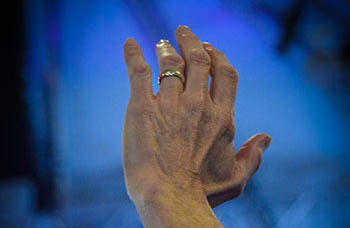 This month, God proved once again that he is in control and that his hand is on this church. As part of our Daring Faith initiative, the “F” goal facilitates the launch of new campuses and relocations to sites that will enable our church to grow and reach more people for Christ. Our next Saddleback campus in the Yorba Linda-Brea area is on track to launch later this fall. Stay tuned for more details regarding location and the new campus pastor. Our existing campuses are also exploring ways to expand our current space to accommodate for our growing church families. In the past year, Saddleback Buenos Aires has gone from two weekend services to now six weekend services and is still beyond capacity at their current location! That’s not all! Saddleback South Manila is setting up tents each week to accommodate new families, and is currently in negotiations for a larger facility nearby. Our Corona campus is also awaiting news regarding permits to relocate to a new location in the Eastvale-Norco area. Please pray for God's favor regarding all of these needs so that these campuses can grow to reach their communities with the love of Jesus. So many great things happened this month to assist people in need. First Saddleback San Diego is the latest campus to introduce Local PEACE, which serves our communities and works directly in neighborhoods to share God’s love. Less than a year after they launched, Saddleback San Diego kicked off their Local PEACE efforts on July 22 with The Lunch Brigade. This powerful new ministry serves meals to veterans struggling with PTSD and trauma. Their main goal, however, is to show veterans the love of Christ and let them know how much they are valued and appreciated. FIND OUT how this new ministry is literally saving lives! At Saddleback, we have more than 800 ministry opportunities where our members can serve the community. Among them is Sole2Soul, Saddleback’s homeless ministry. It has grown from a small group handing out socks, to now five weekly outreach events and over 200 volunteer hours per month! LEARN how this outreach has become one of the fastest growing ministries at Saddleback. In our efforts to help end the orphan crisis and assist people in need, Saddleback’s Orphan Care Initiative equips churches to launch ministries that promote adoption. With so many Spanish-speaking churches around the world, our Orphan Care team recognized the need for translated materials that would support foster and adoptive parents. At a time when one-third of all foster children are Hispanic, the demand for Spanish resources has never been greater. That’s why our Orphan Care Ministry recently translated training materials for our own Spanish-speaking families at Saddleback and for Spanish-speaking churches. Click HERE to learn how you can be part of this ministry that breaks through cultural barriers. This month our web and tech teams have been busy preparing for exciting new projects. 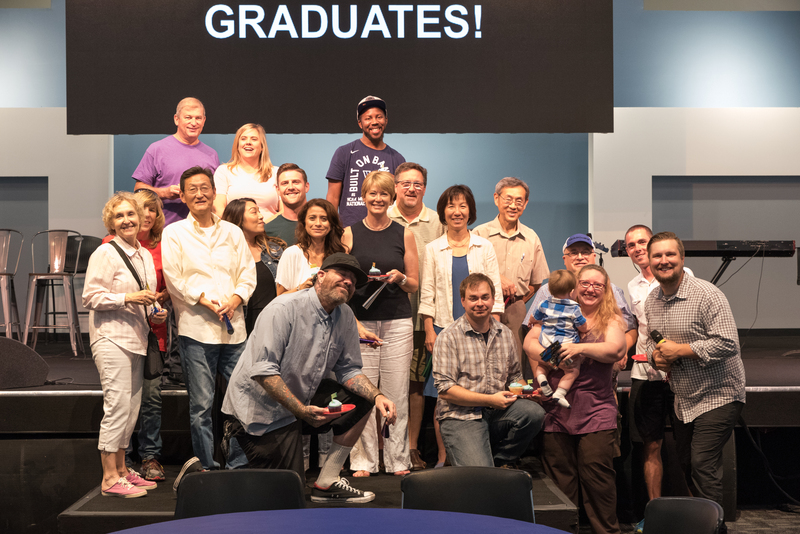 In early July, they released the new Online Campus and are working towards launching Saddleback’s church management program in early October. Also on their schedule is a PEACE software that will allow for mission trip management and expense reporting, making it easier for our members to engage in PEACE around the world. Stay tuned for updates on this project when it’s beta tested in late September. From June 13-23, our Saddleback Men’s Ministry sent out its first all-men’s PEACE trip to Rwanda! 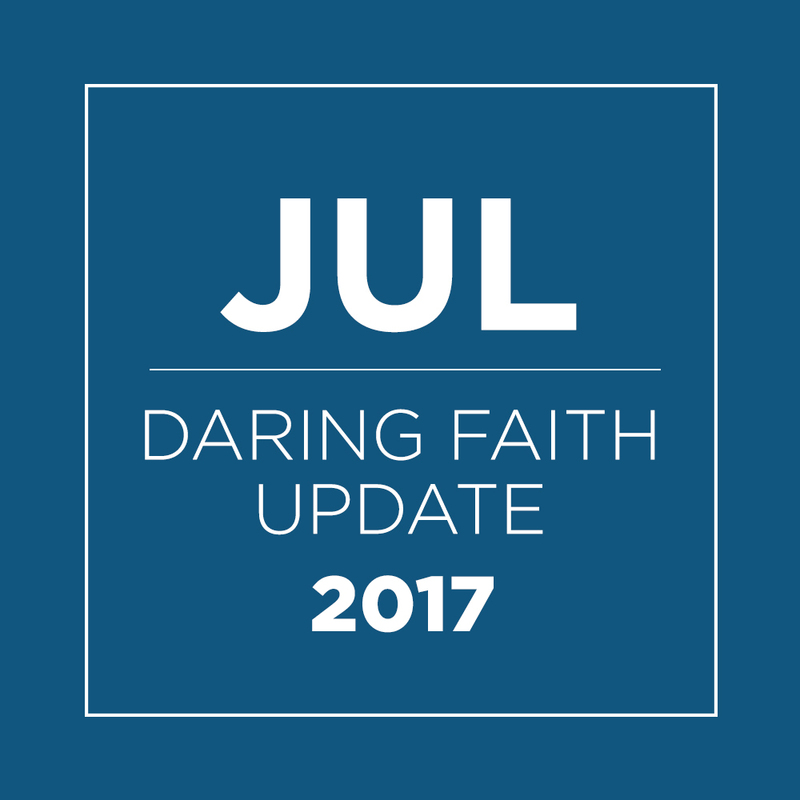 Eight men from two campuses made up the group that set out to accomplish several goals of our Daring Faith initiative. The trip challenged and inspired men to take the lead for future PEACE trips and to continue their efforts in leadership training. Click HERE to read all the details of their incredible journey and how you can be part of the next Saddleback Men’s PEACE Trip. In March of this year, we shared the story of our new Interconnect Room that was used to tape The Beatitudes taught by Pastor Buddy Owens. Filmed in front of a live audience, the recorded sessions are part of a small group curriculum scheduled for release on August 5th! The study serves as a tool to encourage fellowship and spiritual maturity of individuals and small groups. 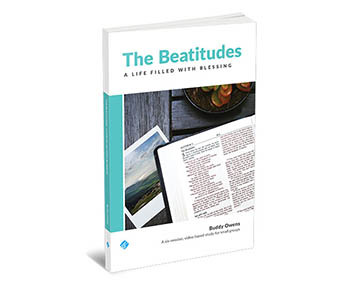 Be sure to pick up a copy of The Beatitudes study at your local campus or at mysaddleback.com. Also this month, we honored 18 Class 401 graduates at PEACE Practical, our quarterly global PEACE gathering. Held on July 30, the event mobilized and empowered ordinary members to connect with serving opportunities around the world. Their commitment is another step in achieving the final frontier project of our global PEACE Plan. PEACE and the Purpose Driven movement are making a tremendous impact across Russia thanks to foundations put in place during recent Saddleback PEACE trips. Building on the momentum of the June Purpose Driven Church Conference in Moscow, our Russia PEACE Team returned there this month to visit five churches in Zelenograd and St. Petersburg. In less than three weeks, they introduced Class 301 and PEACE Leader Training. They also helped implement newly translated teaching materials. With access to these resources, church leaders were able to complete SHAPE Guide Training and become “trainers of trainers”—to teach others how to God can use their Spiritual gifts, Heart, Abilities, Personality, and Experiences to help others. Click HERE to learn how PD and PEACE are equipping local churches across Russia. In May, we shared how Palm Valley Church in Arizona had committed to becoming an International Partnering Church (IPC) and launch Purpose Driven strategies in Cote d’Ivoire, Africa. One month after releasing that story, Palm Valley led a team of 12 members back to Cote d’Ivoire to train African pastors. During that international journey to impact churches, Palm Valley’s own members discovered a deeper passion for missions they’ve been fostering for three years. This trip was the catalyst that helped them reach their own Daring Faith goal to expand missions in their church. Since launching the campaign, they have taken missions from 8 members on PEACE trips to now over 500! Read the incredible story of transformation HERE.